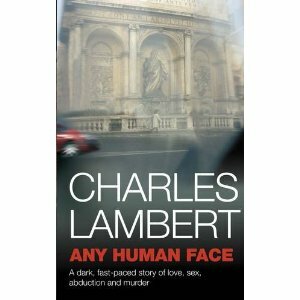 I've recently had the pleasure of reading Any Human Face by Charles Lambert - another of the novels for the 7Day Holiday in September. This increasingly gripping thriller, which is also part love story, is set in Rome and so makes ideal holiday reading. There were some excellent characters, but there was one that I grew particularly fond of, and that was one called the Birdman. He was an eccentric character, whose main interest in life was looking after the birds he attracted to his flat in the city. He seemed to have no sinister or even self-interested motives, just the satisfaction he derived from looking after his menagerie of birds and humans. Everyone else had needs and relied on other people but the Birdman seemed to require very little of people. He was overweight, rarely venturing from his flat, preferring instead to stay indoors and wander around in the comfort of a voluminous kaftan. I felt I got to know him, and through the book I felt I grew to know an aspect of Roman life which I suspect the Italians wisely keep from view. Charles has kindly agreed to an interview - and he gives a fascinating insight into aspects of writing the novel. Charles Lambert was born in Lichfield, the United Kingdom, in 1953. After several schools in the Midlands and Derbyshire, he went to Cambridge in 1972. In 1976 he moved to Italy and, with brief interruptions in Ireland, Portugal and London, has lived and worked there since then. Currently a university teacher, academic translator and freelance editor for international agencies, he has also been a kitchen hand, shop assistant, medical journal editor, guidebook writer, receptionist, teacher of political science, and journalist with ANSA, the Italian news agency. He now lives in Fondi, a stone's throw from the Appian Way. You can contact him by clicking here. You can contact his agent, Isobel Dixon at Blake Friedmann Literary Agency, by clicking here. And if you want to know what's distracting, amusing and irritating him on a daily basis, try clicking here. CD: I loved the Birdman character. Where did he come from? CL: He was based on someone my partner met when he first moved to Rome just over twenty-five years ago, and many of the circumstantial details are borrowed from the stories Giuseppe told me: the acting career, the interest in ‘artistic’ photography and photographing young men (although more chastely, at least in Giuseppe’s case, than his counterpart in the novel), the stage in the living room. When Giuseppe knew him, he dressed and behaved in a fairly normal manner; it wasn’t until later that he began to dress – and behave - in the eccentric way the Birdman does, and that was when I saw him drifting round Termini station. I never met him myself. The birds and the name of the Birdman are elements that I added, and most aspects of his general character, other than an undiscriminating benevolence that the original also seems to have possessed, are my own doing. But this is actually his second outing in my work. He’s also in a novel I wrote the first draft of some years ago, in which he plays a more sinister role altogether, as the accomplice/sidekick to a malevolent but charismatic midget taxidermist, seen through the eyes of the midget’s young apprentice. I hope this novel, which explores a darker side of Rome, will be coming out before too long, as the third or fourth in a group of novels examining corruption in the city. CD: Rome comes over vividly throughout ANY HUMAN FACE. Did you have to explore any parts of the city especially for the book? CL: Not at all. I’ve lived in the various parts of the city in which the novel is set; indeed, some of the flats – Andrew’s by the English cemetery and Sandro’s in San Lorenzo – are flats I’ve rented myself. I first went to live in Rome in 1982 and led a fairly wild life, but I think I’ve managed to remember enough about it to feel sure that most of the details of that period are right. The only part of the city that I don’t know very well, and am always confused by, is – oddly enough - the part that Andrew doesn’t know very well either: the part of town behind the Vatican where lawyers hang out; if I were writing fantasy this area would be the Evil Empire. CD: For me, one of the main themes of the book was corruption - in all its many subtle and unsubtle variations. Is your experience of Italian corruption different from its English counterpart? CL: Well, I’ve spent most of my adult life in Italy, so my only knowledge of English corruption is the playground variety, which can be ruthless and appalling, but is pretty small beer compared to experiences I’ve had, or heard about, in Italy. In some ways I’ve been in Italy long enough to make generalisation impossible – the more you know about a place the less you’re sure of. But it’s hard to talk about the country at the moment without mentioning the extraordinary phenomenon of Berlusconi, a man who would have been automatically excluded from power in any other working democracy, but whose high-handed contempt for fair play continues to appeal to large numbers of Italians, though not, thank God, to the majority. The best arms against corruption, and the power it feeds on, are the judiciary, public indignation via a free press and the puncturing ridicule of satire (ask any UK MP!). So it isn’t surprising that Berlusconi should have spent so much energy attacking, and trying to restrict the liberties of, Italian judges, journalists and TV comics. Let’s hope his reign comes to an end before too much longer. It’s certainly true though that very few Italians understood why the British were so incensed by the expenses scandal. In a country in which fleets of official cars can be seen parked outside beauty centres while the minster for education tops up her tan, this probably isn’t that surprising. CD: Apart from being a thriller, this was also a book about love - mainly between men, and there were scenes that were both endearing and affecting, although with each liaison came a sense of unease that really helped to build the tension. I was wondering if there are some scenes that you prefer writing to others. CL: Not really. Anything that moves the book on gets my creative juices flowing. One of the aspects of writing AHF that did strike me was that I never had that feeling that I was doing a scene because I had to in a mechanistic sense, just to make the story work... I’m very glad though that you see the importance of love in the novel. There’s always a bit of self-discovery in writing and one of the things I discovered about myself (yet again!) as I wrote AHF was the idea that the ‘big issues’ might be irrelevant compared with the joy, and comfort, we can give each other. You might call the care that Alina puts into her risotto in the final chapter the objective correlative of this attention. CD: The Italian love of good food and wine also comes over very strongly. Did you also have to research this? Was this terribly onerous? CL: Research it? Constantly. And onerous doesn’t begin to describe my commitment to it, although much of the burden, in terms of weight gain anyway, is self-induced. CD: Were any aspects of the novel based on real events? CL: Yes. The murder in the first chapter was based, I’m sorry to say, on the very similar murder of a friend of mine, an American writer called Louis Inturrisi, a crime that remains unpunished. The story of the girl was based on the abduction and presumed murder of a teenager called Emanuela Orlando, also unpunished – the final section, among other things, provides a summary of the various theories surrounding her disappearance. And the central event was triggered by the seizure of material from a small gallery in the centre of Rome some years ago for reasons that are still not entirely clear. What all three events share, apart from the fact that they’re unresolved in one way or another, is the feeling that someone, or something, is behind them. This is so much a part of Italian life that there’s even a word for it: dietrologia: the obsessive study of what lies behind, or beneath, the surface. CD: What is your favourite aspect of life in Italy? CL: My only contact with snails these days is gastronomic, often in tomato sauce, though I prefer garlic, so maybe France should be my next stop. I do find the occasional dried and empty shell still clinging to the outside walls of the house and wonder where its owner has gone. CL: I’m not sure I like pride that much. I feel pride for others, most recently when my partner won a prize for his painting. CL: I’ve had so many. I wouldn’t know where to start. CL: Frank O’Hara called happiness ‘the least and best of human attainments’. I think he’s right on both counts. Great, thank you, Clare and Charles! I enjoyed Alina's risotto too. The book's a real page turner, full of vivid characters. Daniela dell'Orto sounds all too credible, for example, and I like the way we are left to draw our own conclusions about how she got that job. Interview with Paul Murray in the Sunday Tribune.